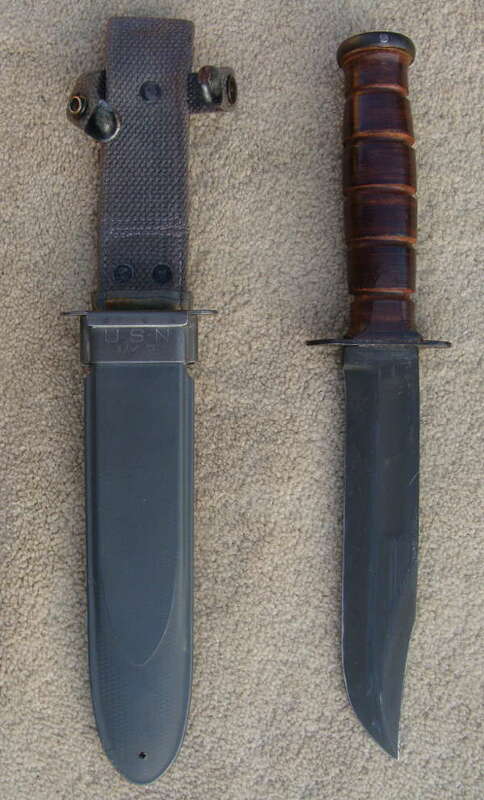 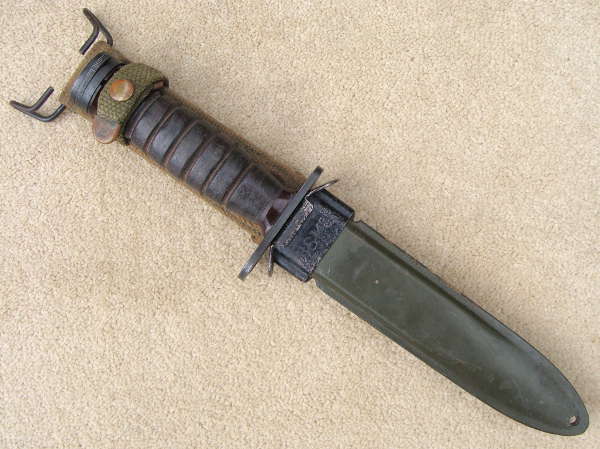 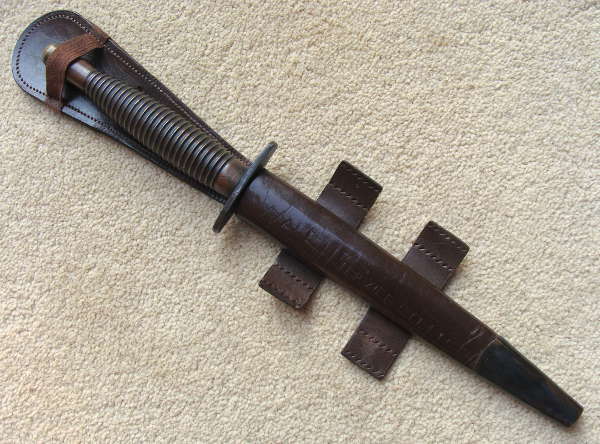 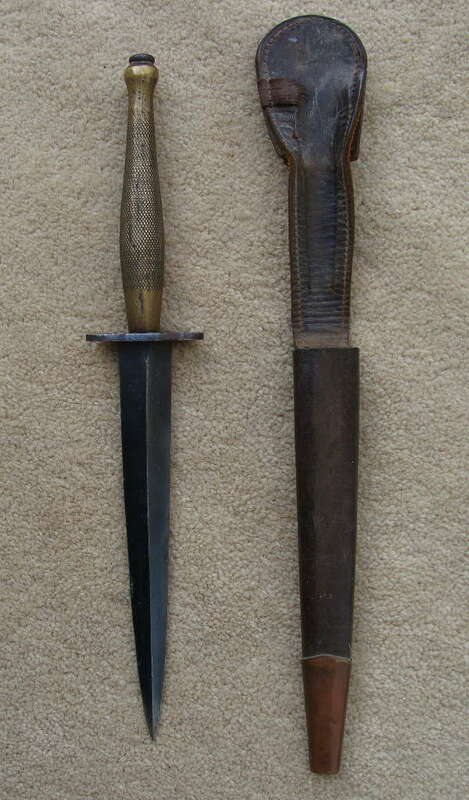 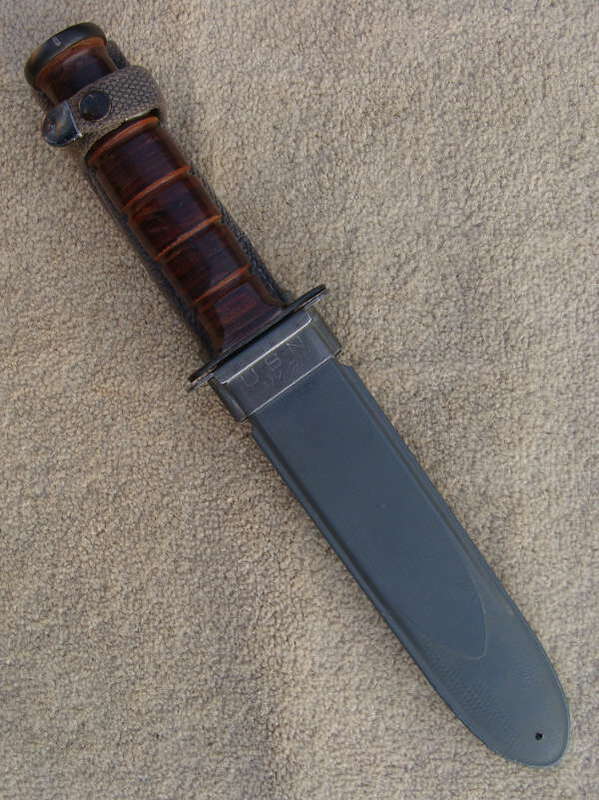 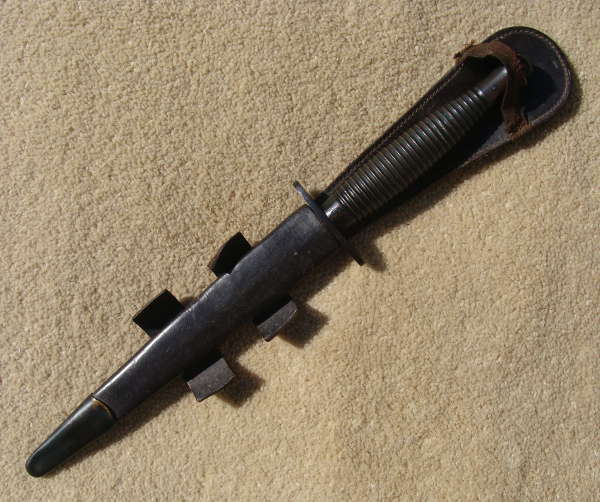 Original US M4 Fighting Knife/Bayonet - 1944/45 - with correct M8 A1 Scabbard - made to fit the M1 Carbine - Made by BX BM Co (Beckwith Manufacturing Company) - Early Compressed Leather Grip - Crossguard stamped "US M4 PALAND" - Frankford Arsenal Ignited Grenade Mark - Pommel stamped with inspection mark "S" and the number 1 - Olive Green Fibre Scabbard has the early 'holed' tip - webbing frog complete with belt loop with retaining strap, brass stud and steel belt bar. 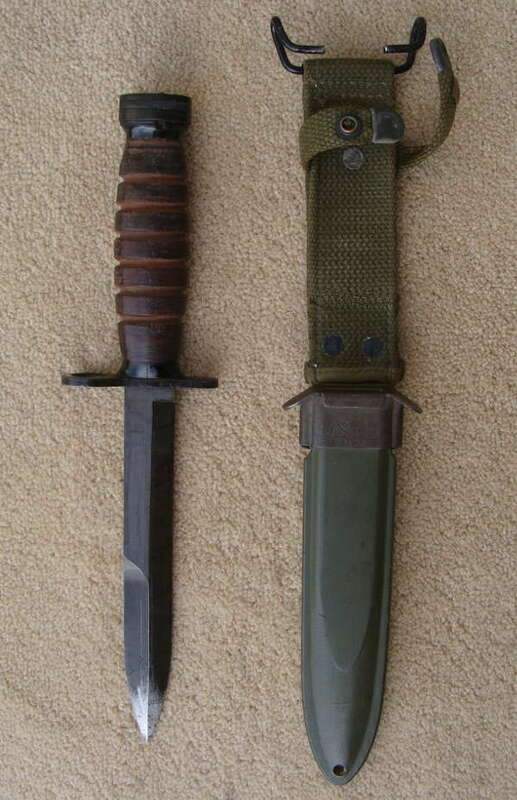 Original WW2 US M4 Fighting Knife/Bayonet - 1944/45 - with correct M8 A1 Scabbard - made to fit the M1 Carbine - Made by BX BM Co (Beckwith Manufacturing Company) - Early Compressed Leather Grip - Crossguard stamped "US M4 IMPERIAL" - Frankford Arsenal Ignited Grenade Mark - Pommel stamped with inspection mark "S" and the number 1 - Olive Green Fibre Scabbard has the early 'holed' tip - webbing frog complete with belt loop with retaining strap, brass stud and steel belt bar. 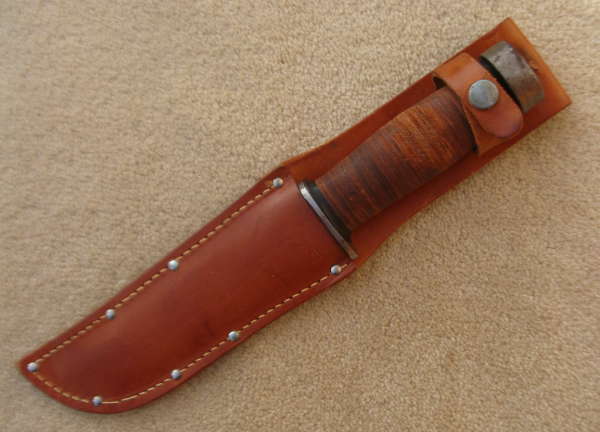 Excellent, undamaged, nicely aged condition, retaining most of the original finish to the blade. 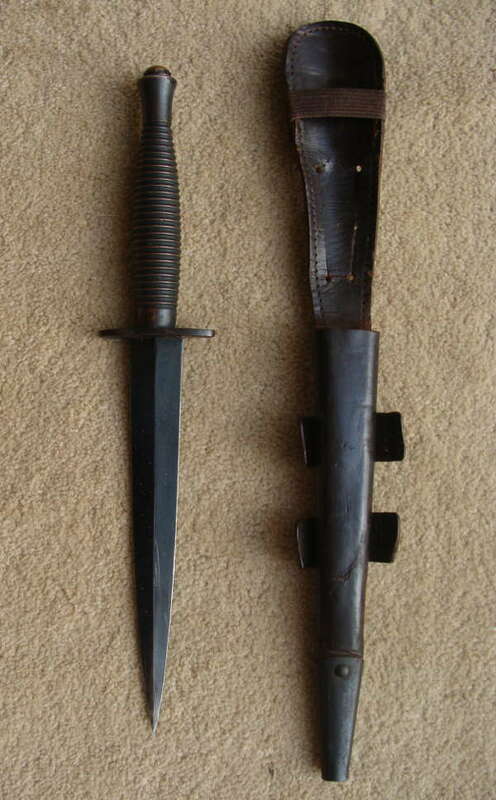 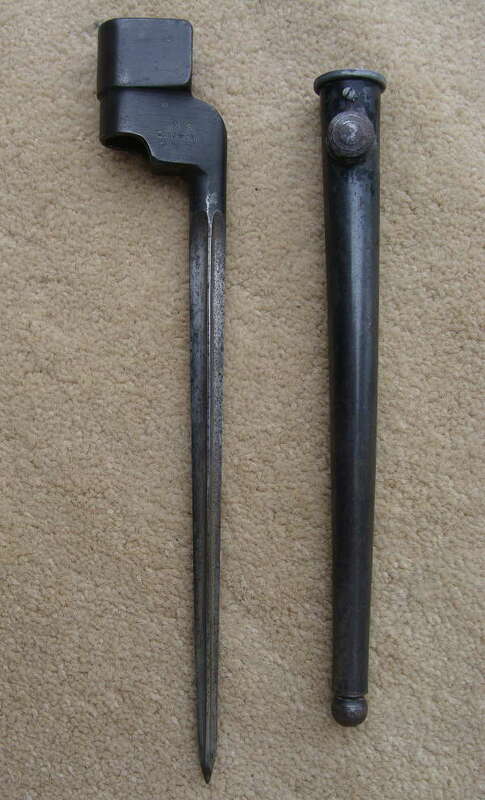 Original WW2 US Navy MK2 Fighting Knife - 194*** - with correct grey/blue Scabbard made by "B.M. 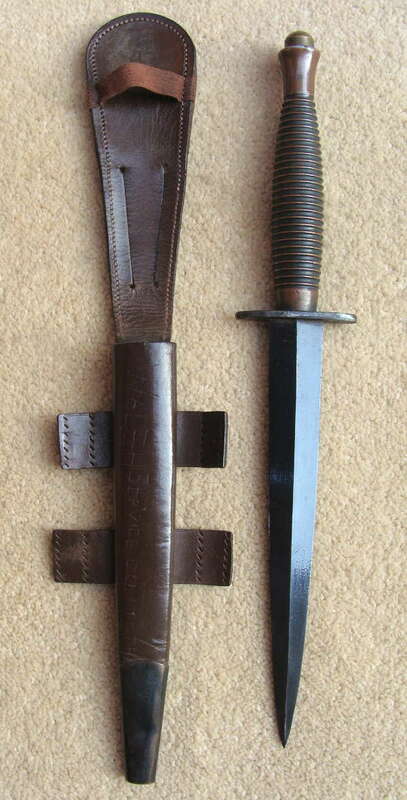 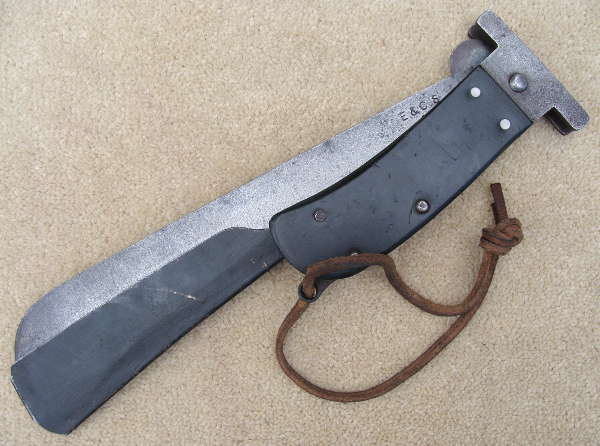 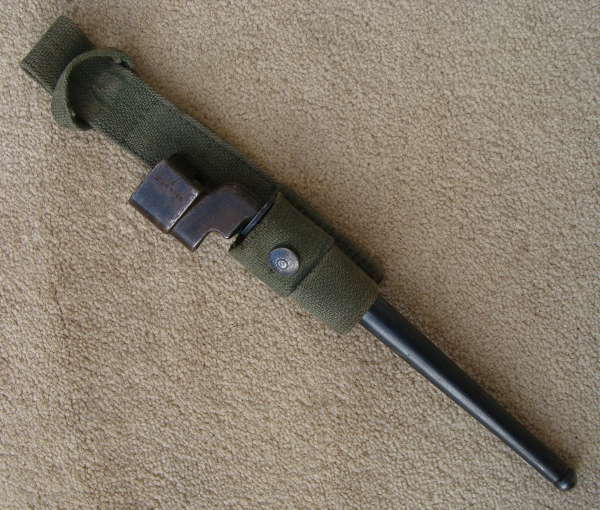 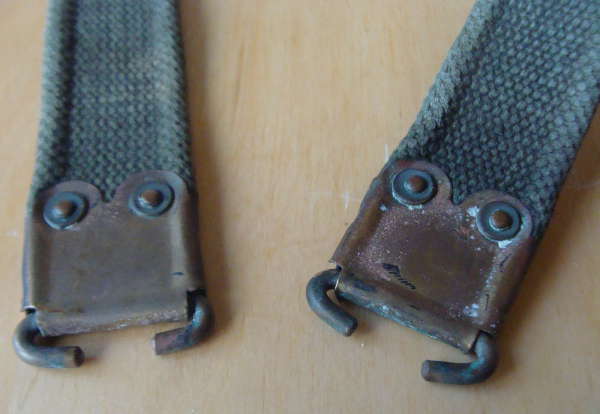 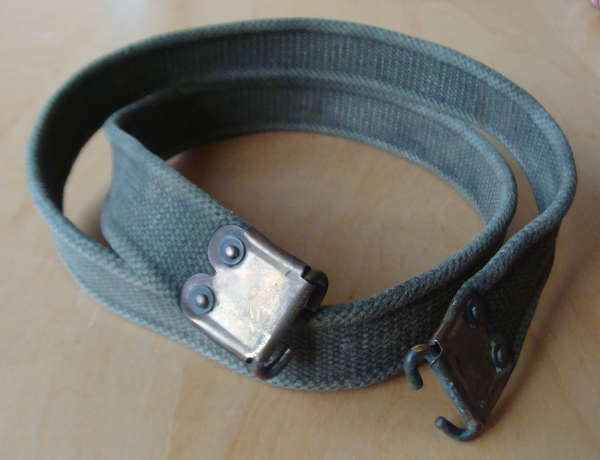 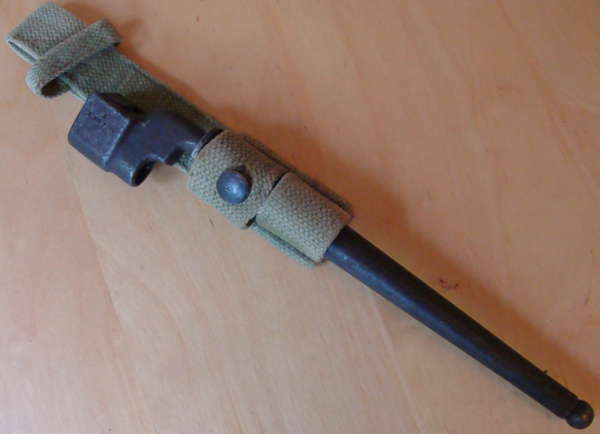 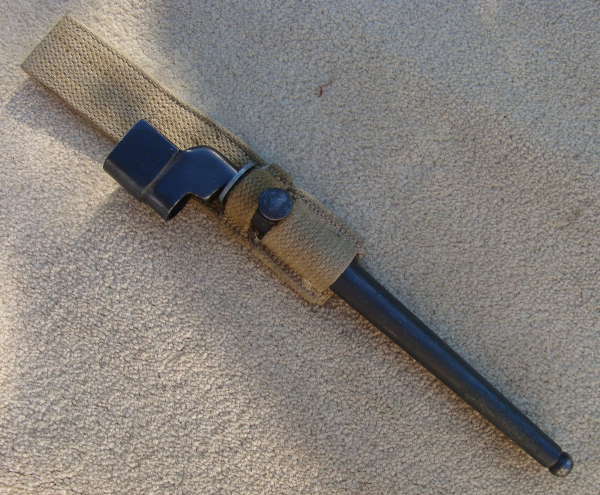 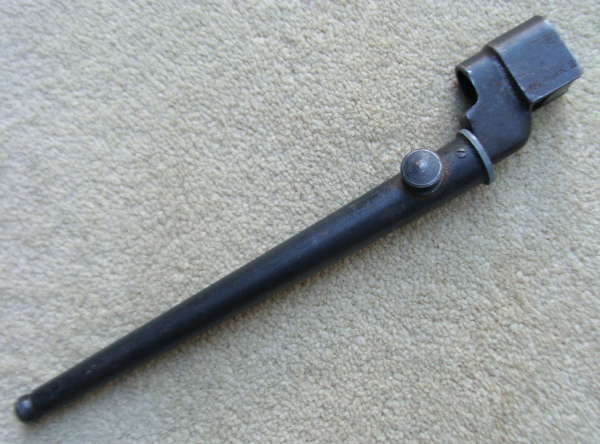 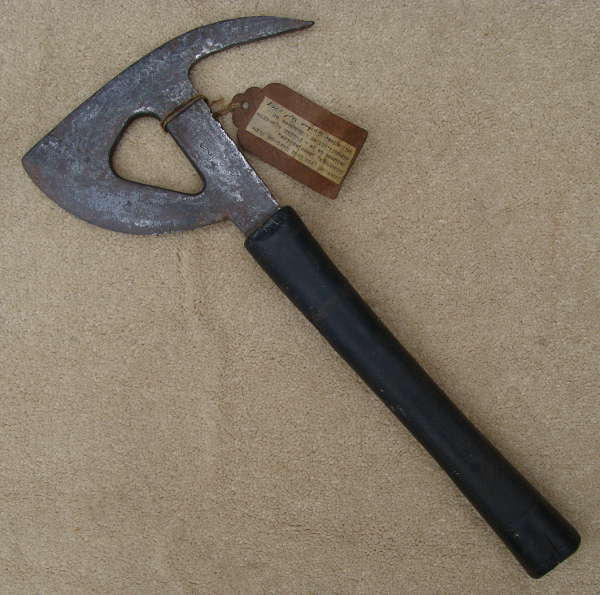 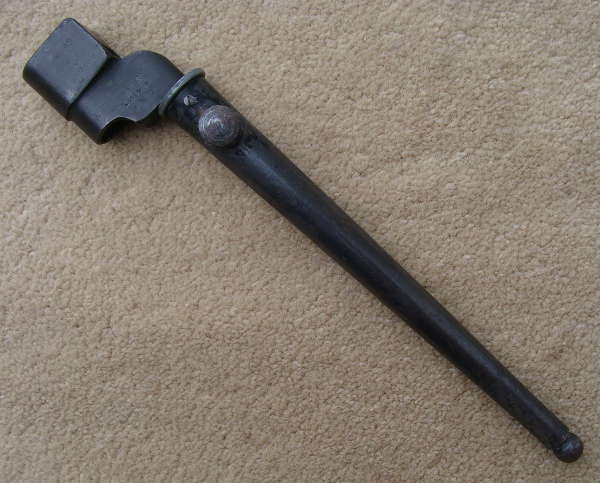 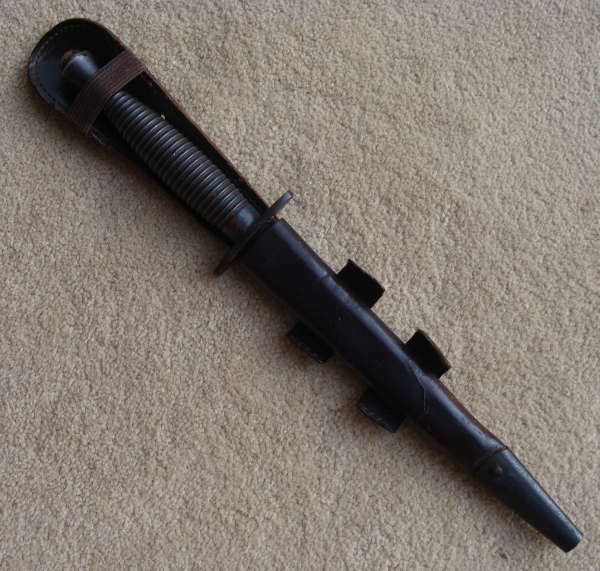 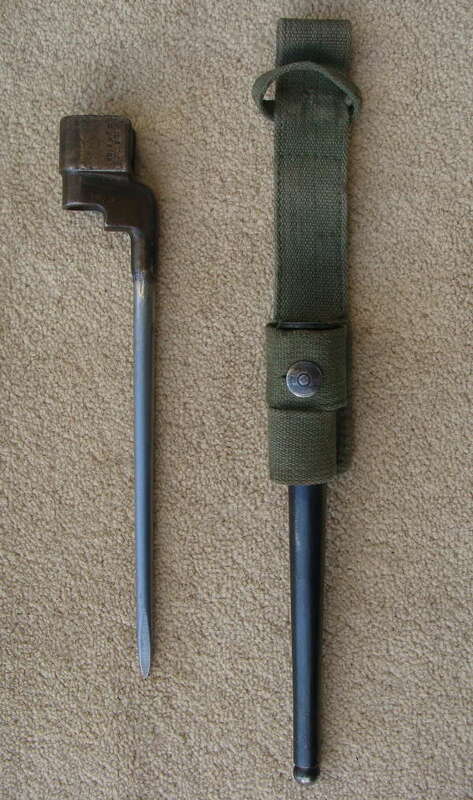 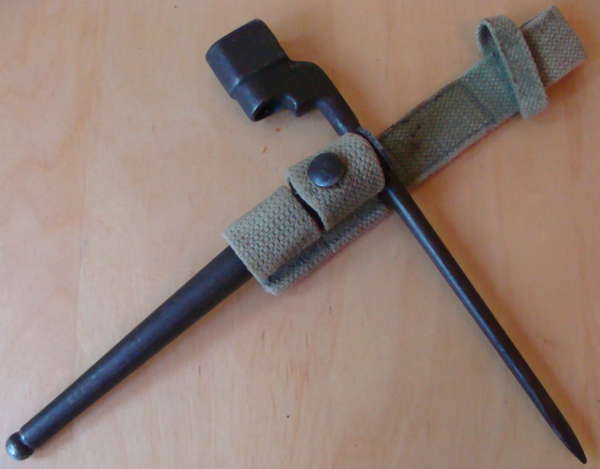 & Co." Co (Beckwith Manufacturing Company) - Early Compressed Leather Grip - Crossguard stamped "KA BAF USN MK2" - grey/blue Fibre Scabbard has the early 'holed' tip - webbing frog complete with belt loop with retaining strap, brass stud and steel belt bar. 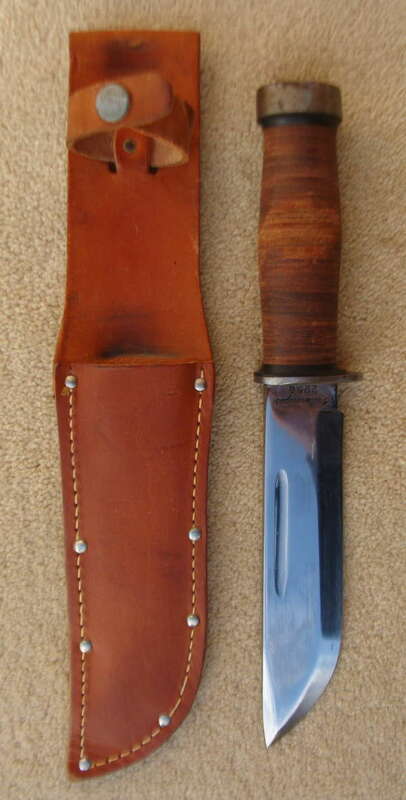 Outstanding, undamaged, original condition, retaining all of the original finish to the blade. 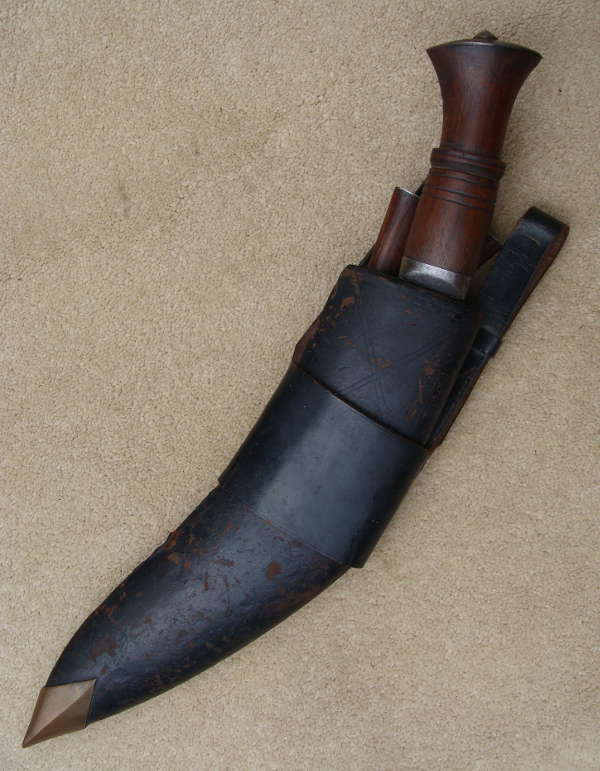 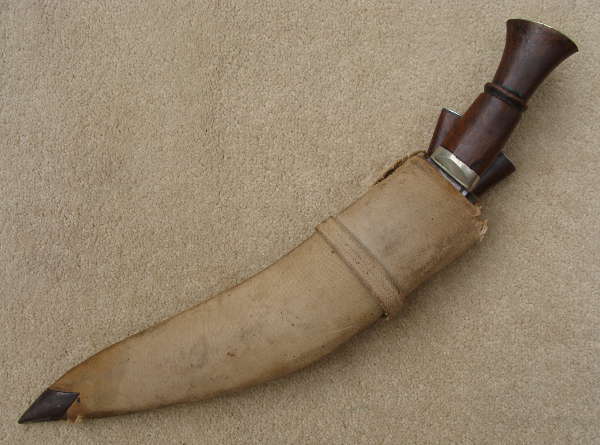 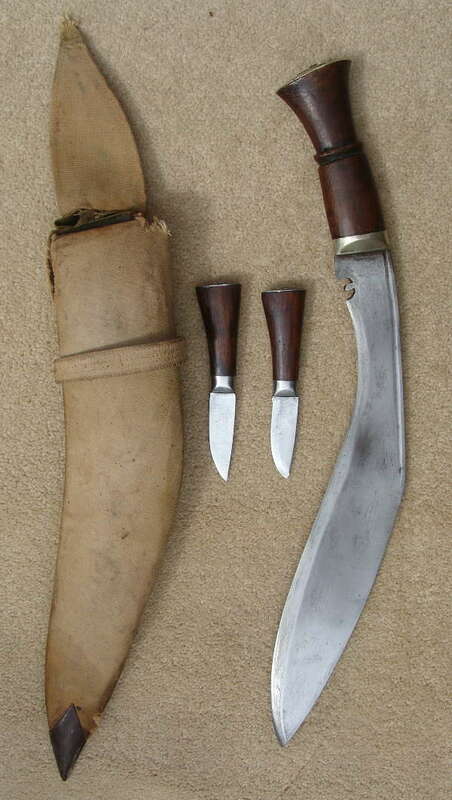 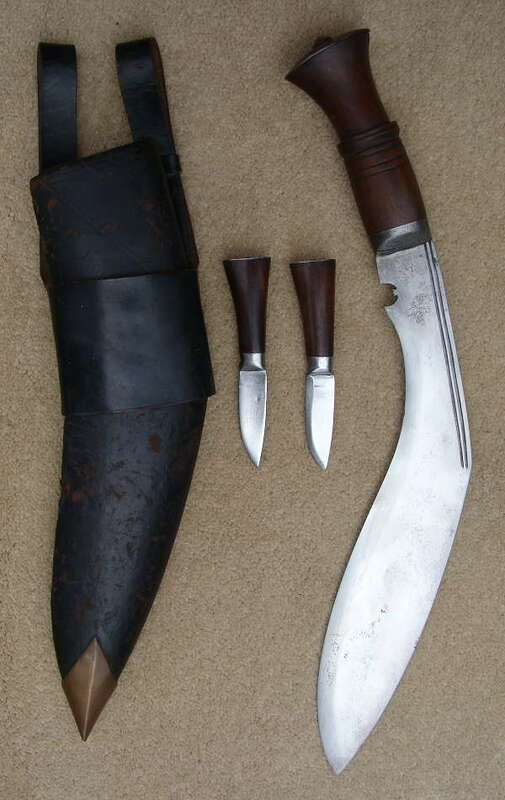 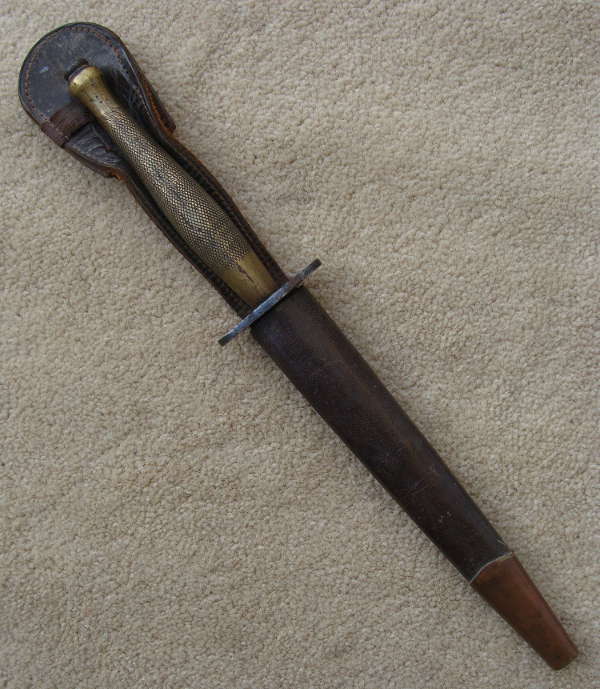 A WW2 Nepalese Gurka SGAK Khukuri (Short Gurka Army Khukuri) - original WW2 canvas field cover - this shorter lighter version was the most popuar form of military Kukri with Gurkas serving with the British and Indian Armies throughout WW2 - most being manufactured post 1929 and like this example the majority do not bear insciptions. 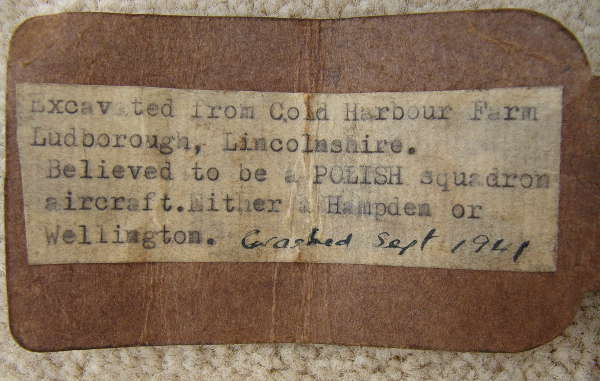 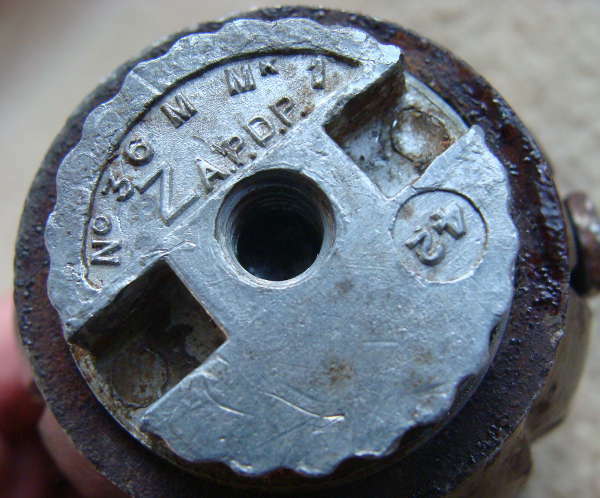 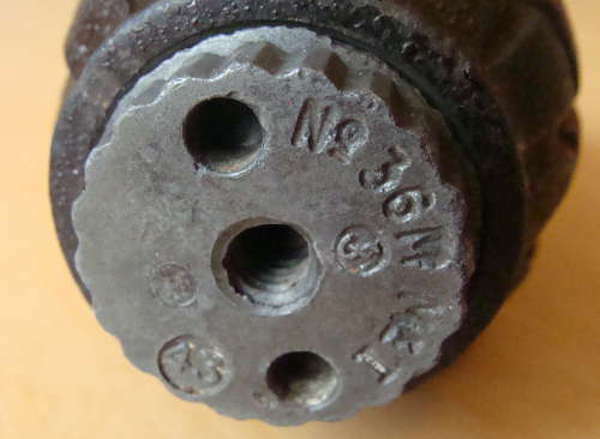 most being manufactured post 1929 and like this example the majority do not bear insciptions. 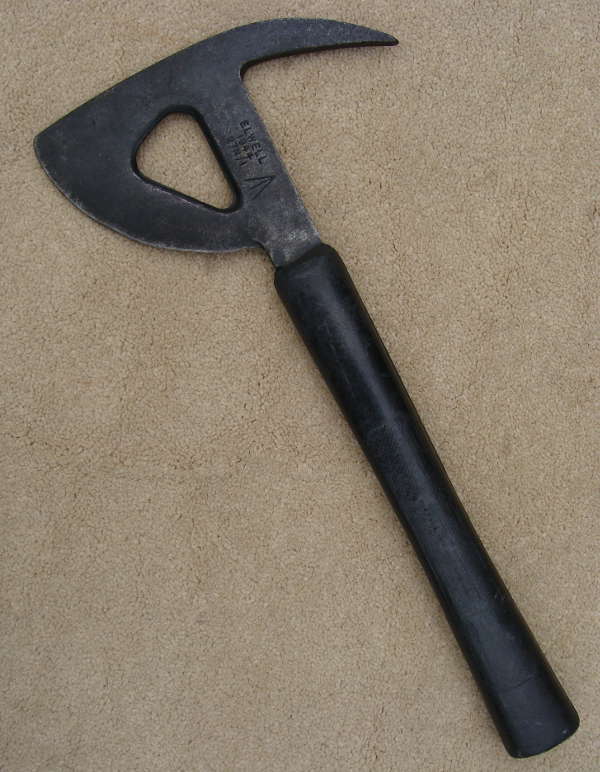 RAF Escape Axe - as carried on-board RAF aircraft - dated 1939 - Air Ministry Mark - Excavated from a crash site in Lincolnshire (thought to be a Wellington from a Polish Squadron - crashed September 1941) - "Patent Number" and "Tested 20000 Volts"
British Mills Bomb 36M - dated 1943 - Deactivated - originally designed by William Mills in 1915 - this particular example manufactured by F.W. 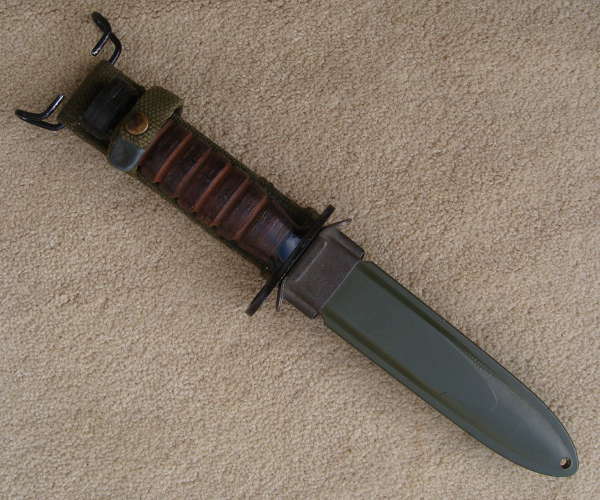 US WW2 Quartermaster's Fighting Utility knife 225Q - manufacturer 'Cattaraugus Cutlery Company' of Little Valley, Cattaraugus County, New York. 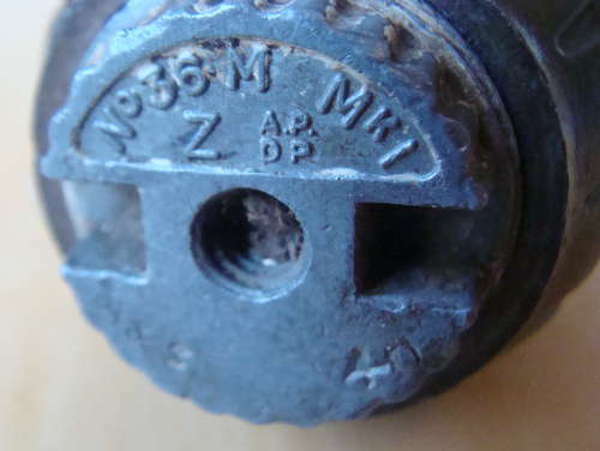 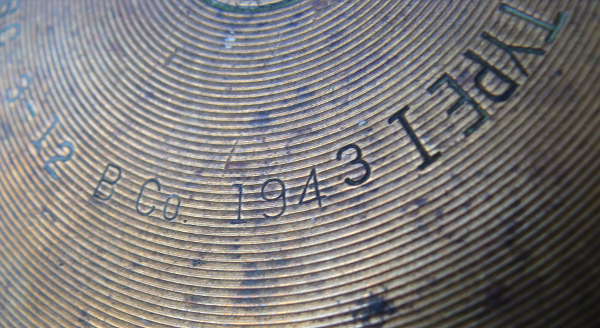 The Allies answer to the German 88mm replacing the inadequate 37mm originally fitted to the 'Honey Tank' famed for having a quarter of the range of the German 88mm and bouncing of the German Panzer's armour. 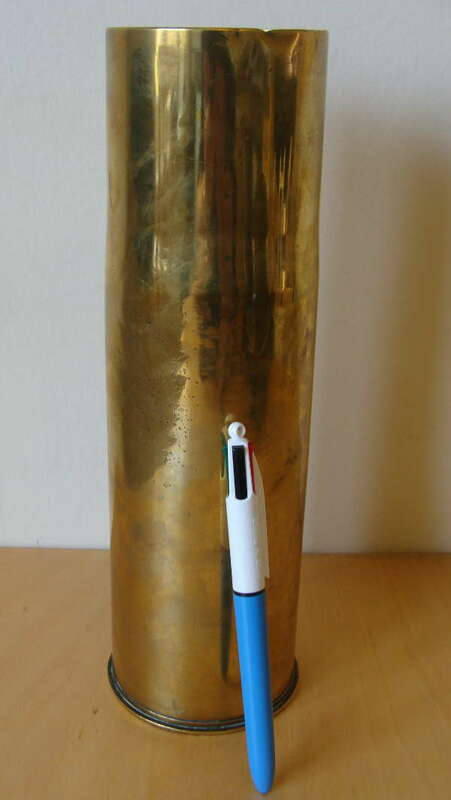 The much more formidable 75mm tank gun, proving lethal to the Panzer III and IV, was initially fitted to the M3 'Grant Tank', later the M4 'Sherman', M24 'Chaffee', and by 1944 the British Cromwell and Churchill tanks. 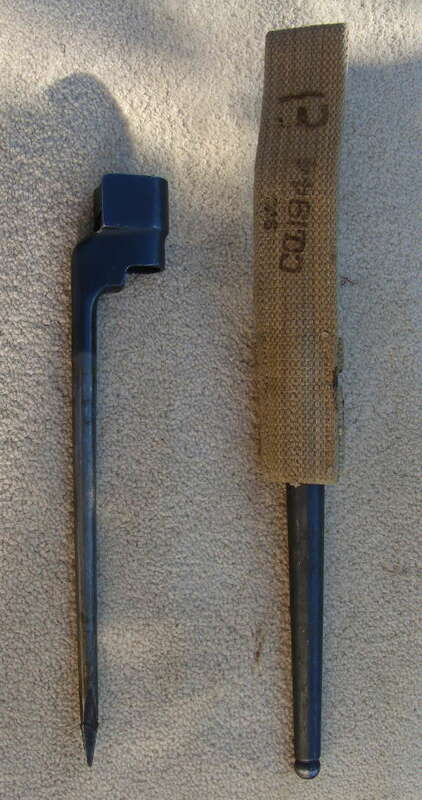 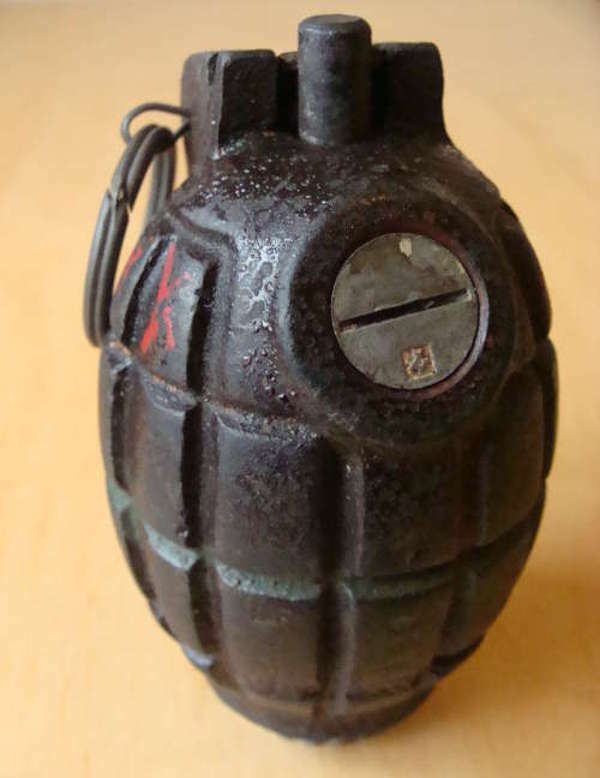 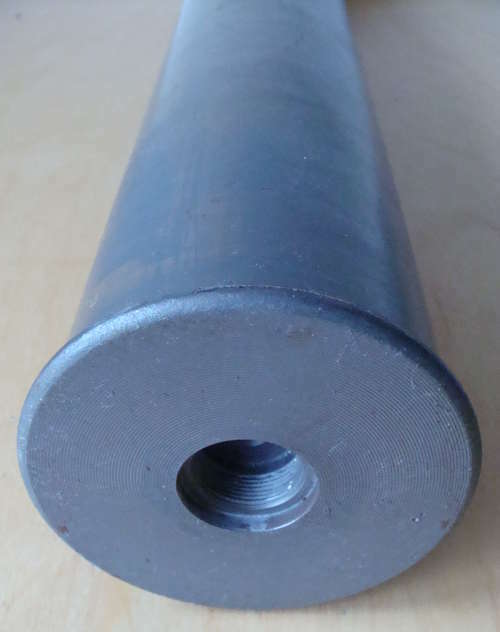 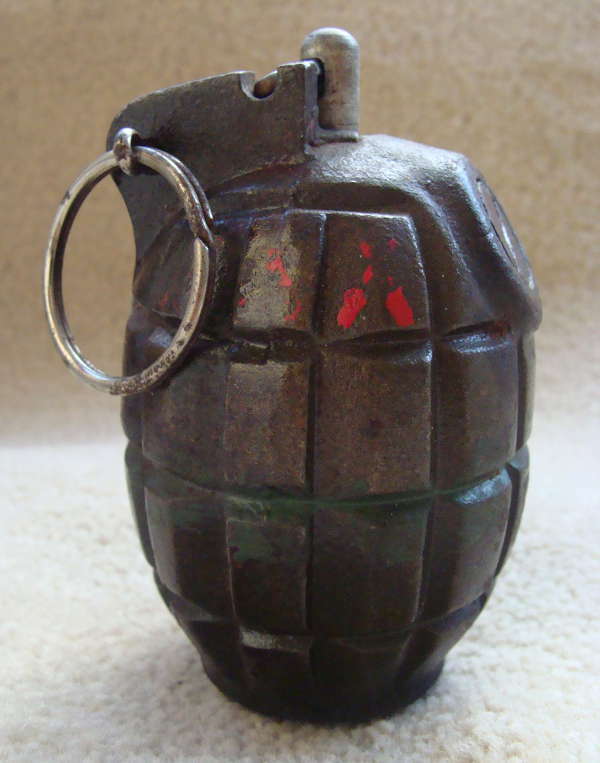 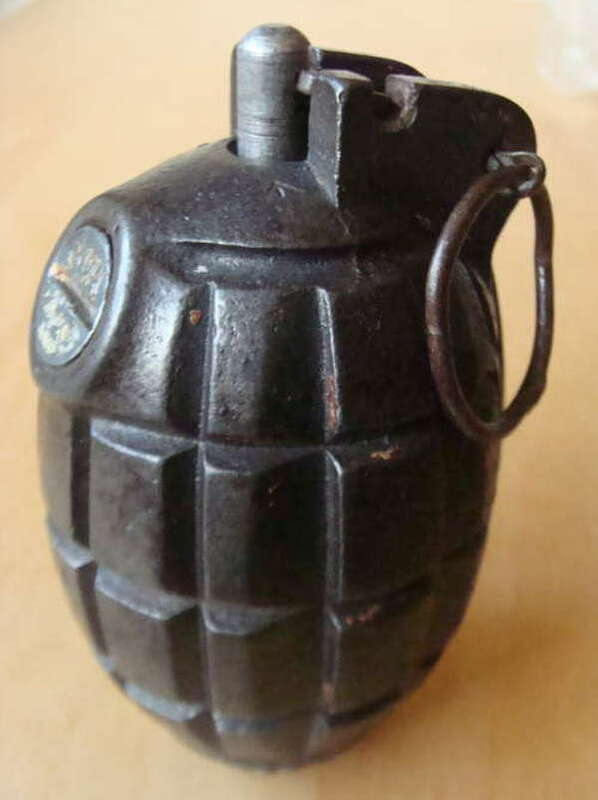 Adapted for use in the B-25H Mitchell bomber as the M5.